We recently interviewed franchisee Heather Lehrman, owner of In Home Pet Services of Nassau’s Gold Coast (North Shore, Nassau County, Long Island), and asked about some of the challenges she faced when starting the franchise, what she would do differently if she had to do it all over and, lastly, the secrets to her success. I was already a client. They were taking care of my dog while I was working full time and I knew they were a great company to get involved with. I was the first client turned owner. You have to grow your business from scratch; however, the In Home Pet Services name was already established and reputable so it was easy to knock on vets’ and groomers’ doors to place my business cards. Also, people found us online very easily and after getting the first few clients, it was easy to get the next few, and so on. I met with the franchise owner and she provided me with the tools I needed to research if it was right for me. I speak to my dog walkers, clients, do scheduling, payments and set up new client consultations. Sometimes I am out covering walks and cat visits or pet sitting as well. Building relationships with all of my clients and keeping them happy. They know they can trust me with their homes and pets and that’s why they all refer their friends, family and neighbors to me. Open up somewhere warm! (Joke) I probably would have had a partner or just someone close to me that could handle some of the business for me. I had no idea how quickly I would grow. Having the same clients I have since I opened and many more! Puppies! That will never get old! People get puppies certain times of year and need us from the start to come in and take care of them while they are at work. Google (I can find anything); social media to keep everyone up to date with real time photos and status on events; and our company website since we can provide all of our company information, events, social media pages and more. Robyn Elman, President of IHPS, trains and mentors everyone in the beginning. I worked for her for the first few months to learn the business as much as I could before I started. She is always available to answer questions and concerns. If you love what you do, you will succeed! Buy a franchise that means something to you. I loved animals so In Home Pet Services was perfect for me. Speak to other franchise owners first, do your homework and take a risk! Owning a franchise is being part of a family. We all help each other out. We refer clients to each other, tips, share new ideas, give each other inspiration. You don’t get any support like that when trying to just open your own business. Of course I was nervous owning my own business and didn’t know what to expect. I was worried that I wasn’t going to get clients, like every other business worries about. After six months, I never worried again. Clients were just calling off the hook. I have had the same clients since I opened four years ago and some of them are more than just that. They are friends of mine. They know we take care of their beloved pets and they want to make sure I am ok back. A perfect example is that I have clients asking me for business cards to put in their offices, the vets they use, their store around the block that they actually talk to the owners about me, us, In Home Pet Services. They want to see me succeed and that is the reward in owning this franchise. 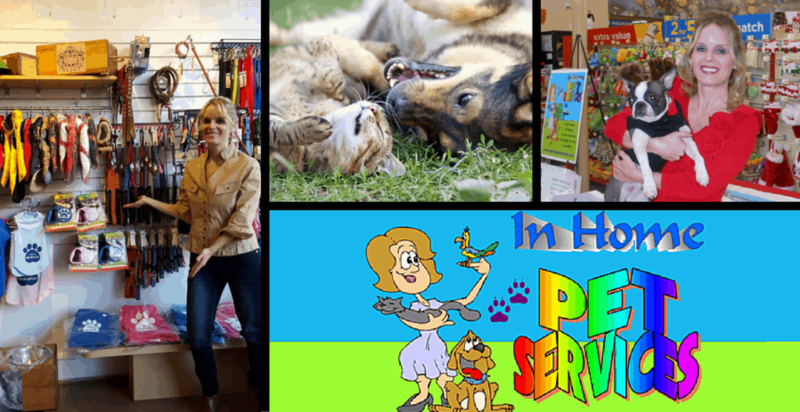 Where can people find out more about In Home Pet Services franchise opportunities? Where can people find In Home Pet Services on social media?